I am relatively new to visual studio. I am in the process of creating a custom control and the same time learning. I have put together the beginning of this control and will love to get some input. What this does is draw in a Panel Control so that it looks like the control has a inner bevel(sunken) on the form. Although this seems to work, will I get some issues or is there a better way to do this? 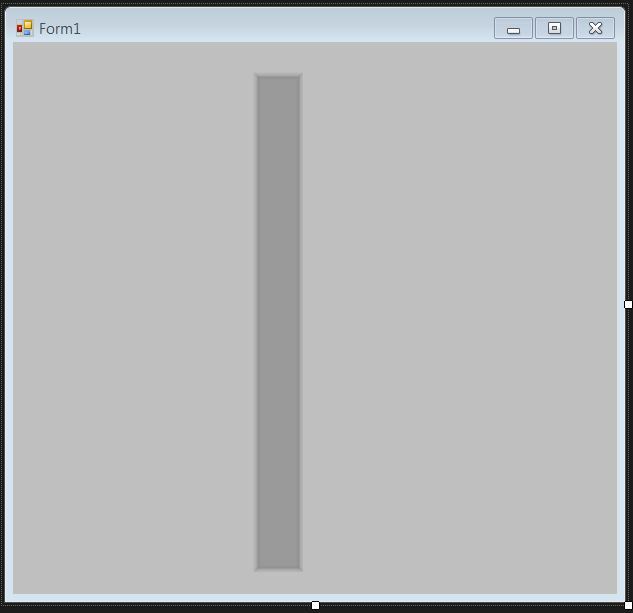 In the Bevel Class(Outer_Bevel) is not used yet. The above code I used because I wanted to prevent stretching in my bevel and wanted my bevel size to stay the same when I resize my control. I tried the "PathGradientBrush()" before but it gave me the issues I mentioned. With a little research I managed to resolve this issue by using the "PathGradientBrush()" together with "FocusScales" and a "relativePositions". With little calculations I manage to change the "FocusScales" values when I resize my control preventing the issues I mentioned. The code is also a lot shorter and gives me the same effect as seen below. I would really love to get some input on this. Thanks. Browse other questions tagged beginner vb.net gui graphics or ask your own question.